Above: These custom traversing drapes feature an embroidered linen fabric in a geometric pattern. 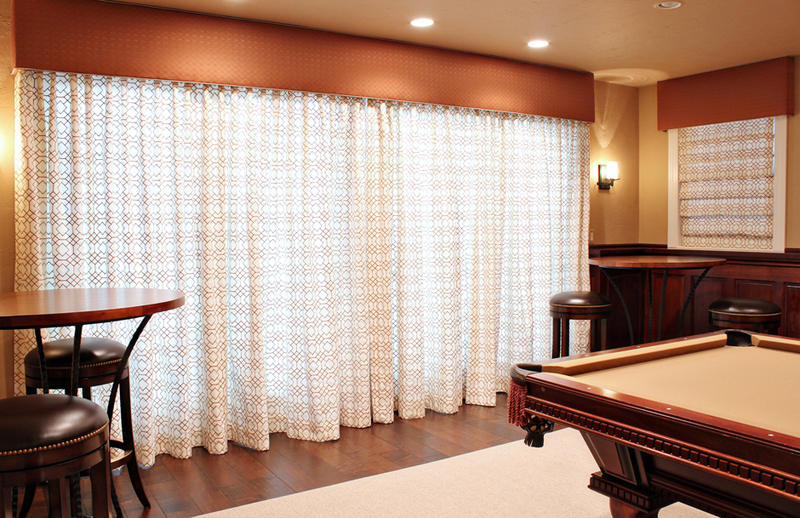 A matching Roman shade was created for the adjoining window and is perfect for creating a sense of privacy. Coordinating cornices were constructed and covered in a rich, rusty orange fabric with a subtle pattern.